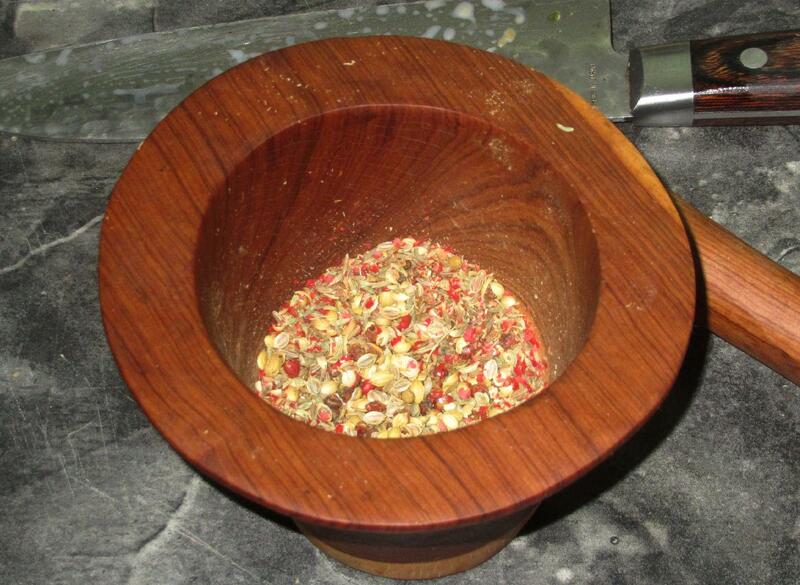 First, use a mortar and pestle to crush the fennel, cumin, coriander and peppercorns. Don’t make a powder from the seeds; rather leave them on small fragments. 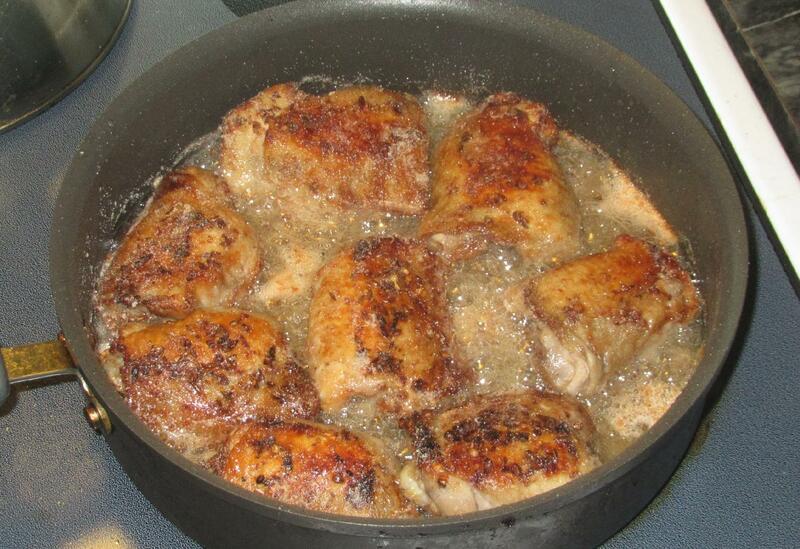 Next, put the chicken pieces in a moderately deep pan so that they fit snugly in a single layer. Sprinkle over the crushed seeds then add the rest of the spices and the coconut water. 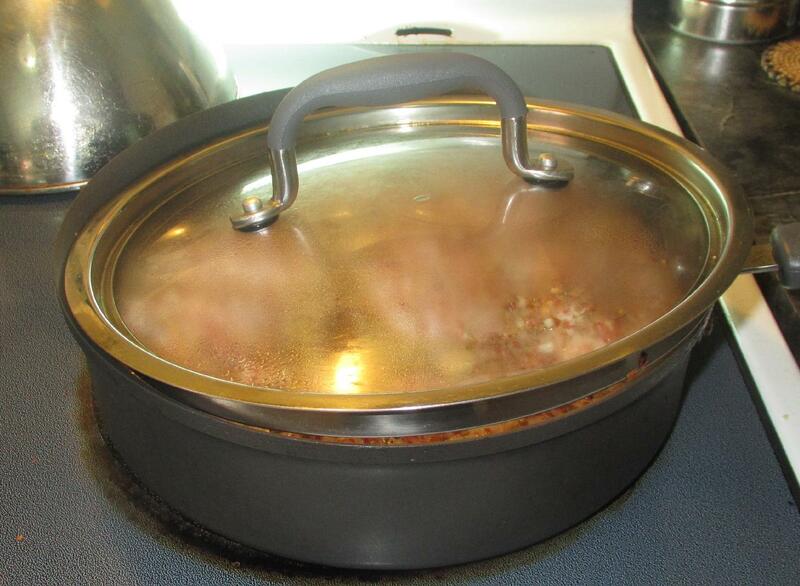 Bring the pan to a low simmer over moderate heat, then partially cover and gently poach the chicken for an hour or so. Afterwards, close the cove and allow the chicken to cool in the spiced broth. If you like, you can do as I did and let the chicken steep in the liquid overnight in the refrigerator before continuing. 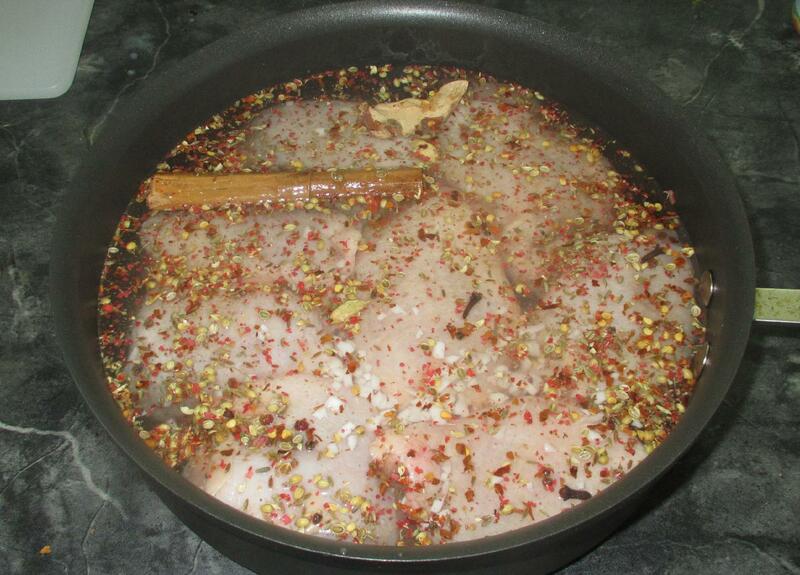 When you are ready, remove the chicken from the broth and shake the pieces dry. There will likely still be some seed fragments adhering to the skin but don’t worry about brushing these away. 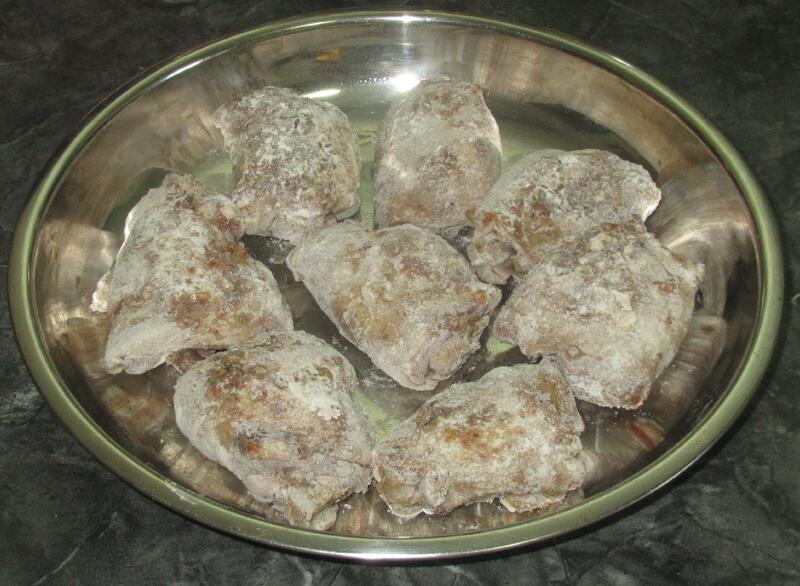 Sprinkle each piece with the flour to coat all the surfaces and shake off any excess. You can use plain four as a substitute if you wish but, in either case, don’t overdo things… just a light coating is all that is needed. Finally, deep-fry the chicken pieces, or else shallow-fry in a goodly amount of oil until nicely golden on all sides and well-heated through. Remove the pieces and drain on paper towel before service. 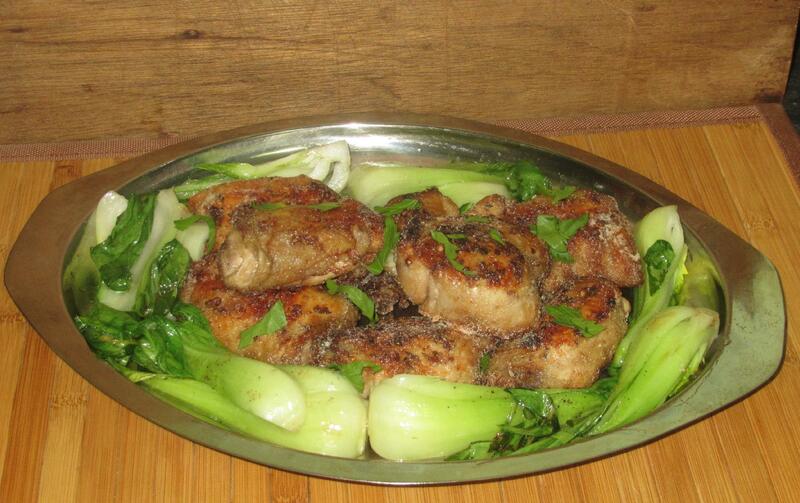 I served my chicken with flash-fried Bok Choy and some Ramen noodles I tossed with a little chili-oil. There is nothing particularly Balinese about these accompaniments but they went well with the spicy chicken meat and my wife and I really enjoyed our meal. The leftovers were great cold too!